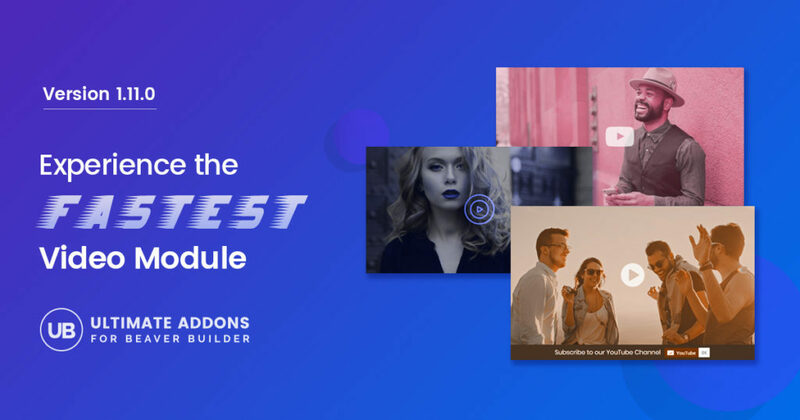 Introducing the Fastest Video Module for Beaver Builder! Many of us get frustrated when websites fail to load as expected. Many of them are poorly formatted, some do not have the information you need, and well, quite a lot of them load at snail speed! What if you have an amazing website, with the best content and media that people love – but loads slow? That’s annoying! Over and above, we might not even think of embedding a video, wondering whether it will affect the speed even more. Yes, a video can do a lot of harm than you thought. Well, you won’t see any of these issues if you are using the Ultimate Addons for Beaver Builder to build your website. A combination of lightweight and feature-rich modules gives you the freedom to design pretty faster loading websites! Today, in UABB version 1.11.0 we introduce an optimized Video module that not just embeds videos from your favorite website, but also does this silently without affecting the speed. 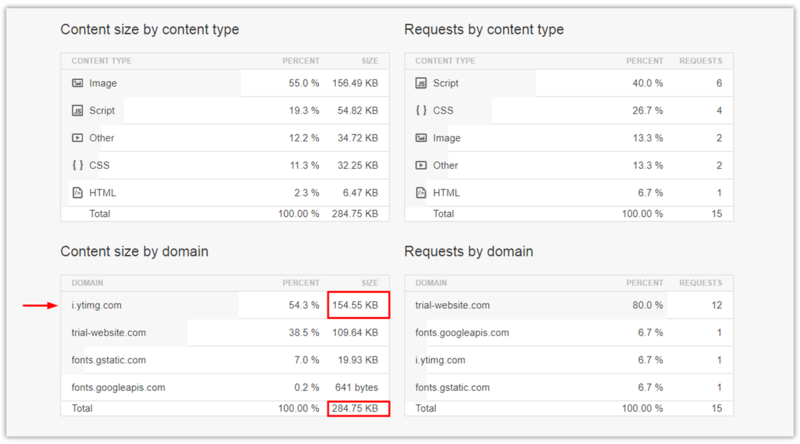 You can embed YouTube and Vimeo videos without worrying about the page speed. You can take a look at the numbers that prove it. In the below image, we’ve tested a page that has a YouTube video embedded on using the Beaver Builder Video Module. Now, we see the results for the same page when the video is embedded using the Video Module of the Ultimate Addons for Beaver Builder. We would love to see your expressions when you see this live at your end! 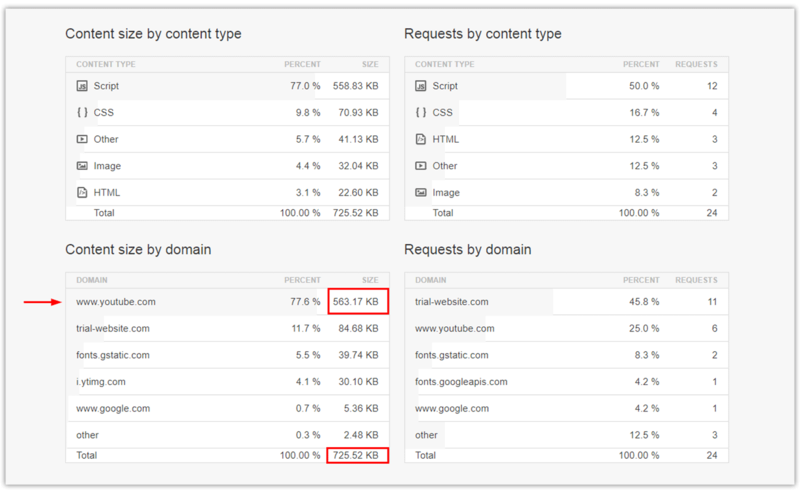 You can notice similar results for Vimeo video as well. So, what are you waiting for? Go ahead and update the Ultimate Addons for Beaver Builder from the updates page in your WordPress backend. To see everything that we release in this update, you can take a look at our changelog. Stay tuned for the next update in which we’ll bring to you the Table module and a lot more things that we’ve been working on. I am sure you are going to love that too! Until then, barge ahead and use the video module. You’ll be glad to embed one without affecting the page speed. Wonderful I love your work!